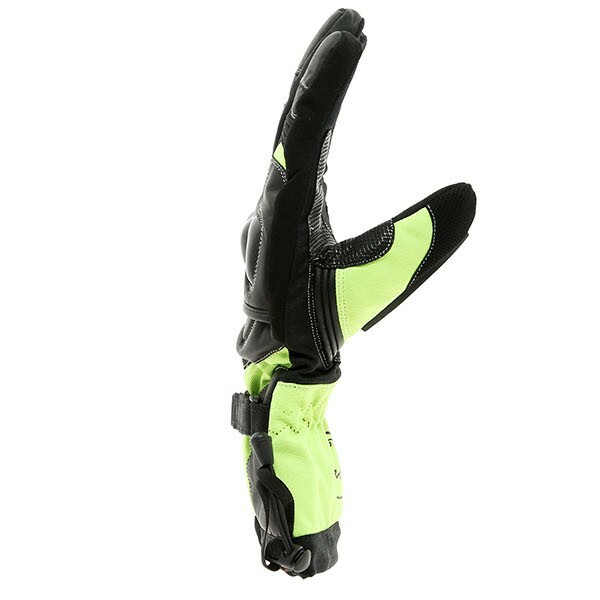 These gloves for the price point are good value. 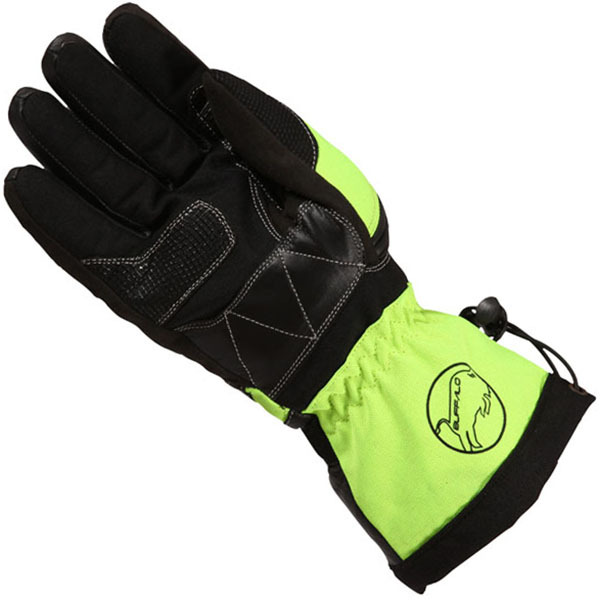 They are warm to the point my hands sweat making the inside of the glove damp, I might have to buy some under gloves. I also find them a bit tight getting them on and off but the actual fit is fine. Once on they are a little slippy at first but fifty miles and they feel fine on the controls. 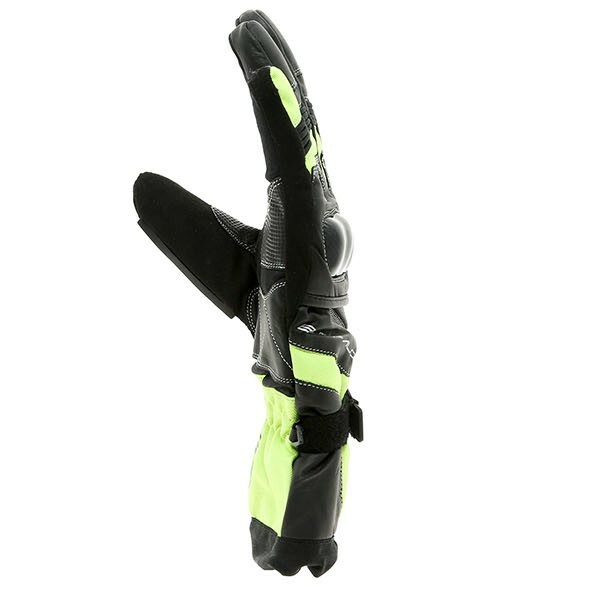 Very quick service and helpful gloves well made good for the price. Got extra large to make sure not too tight even though I have small hands. Still tight, goodness knows how bikers with big hands get gloves. Have to get ex ex ex ex large! Just started using these and they do the job in all weather, make a great pair of back ups for switching when the weather changes! Marked as average as does not have CE approval. If touring overseas make sure gloves have a CE approval. I will have to buy another pair when I go to France! 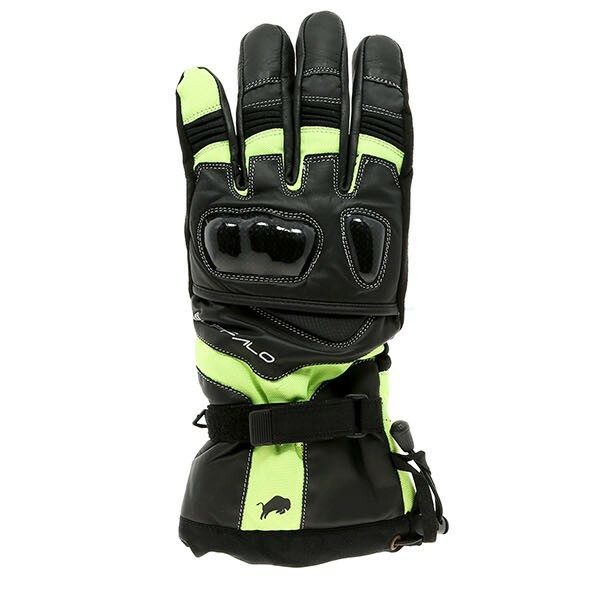 Since I've purchased these gloves, I have experienced riding in both rain and the sun. 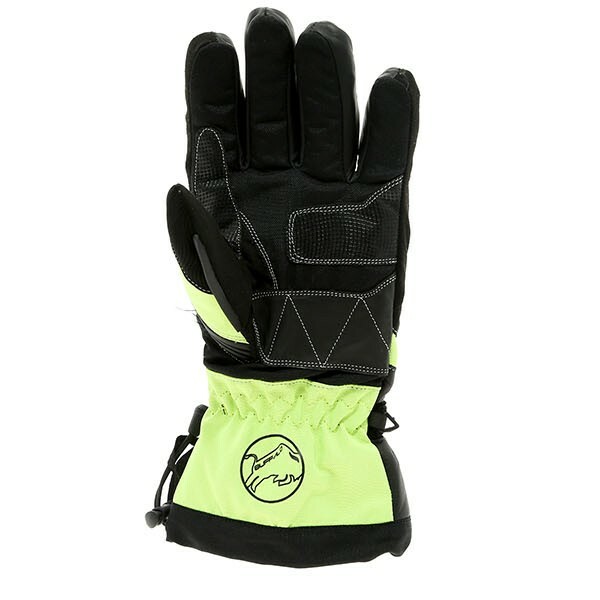 These gloves performed great in both conditions, keeping my hands dry and warm in the wet and comfortably cool in the sun. Overall, I would greatly recommend them! They're warm, look the part and are nice & thick with some hard armour parts, but they're not lasting. I've only had them a week and already there's a hole between the first and second fingers on the seam. The inner fabric lining sticks to your hands when warm, and I pulled the inner liner out of the fingers once. It was a nightmare getting it back in. 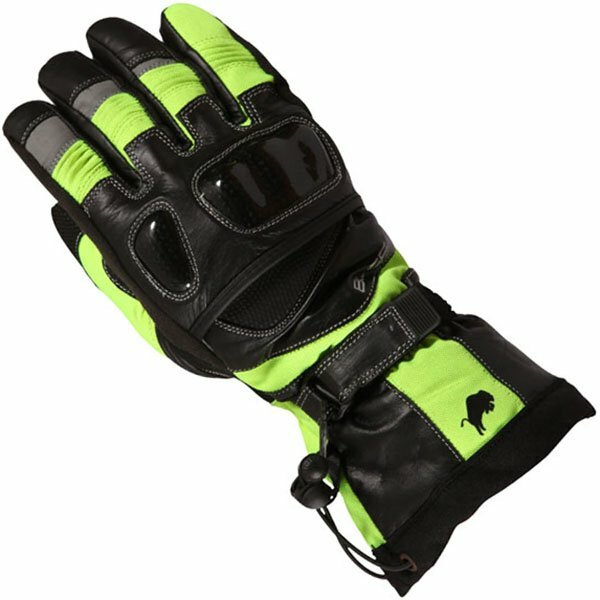 Buffalo has earned a well deserved reputation for producing a comprehensive range of motorcycle clothing that offers excellent value for money. The Buffalo brand is now a firm favourite with many bikers and is now considered to be 'up there' with far more prestigious names. Featuring textile jackets, jeans and gloves, for both men and women, Buffalo is most certainly here to stay.